Three day trip up the Matukituki and up French Ridge to climb the Pope's Nose (2700 m) in beautiful July weather. "This small peak is a great vantage point and has a stomach sucking drop down the East Face. It is an exposed straightforward climb from the Bonar Glacier. A short climb up steep snow slopes beneath and between two peaks, then an airy traverse easwards along the ridge." 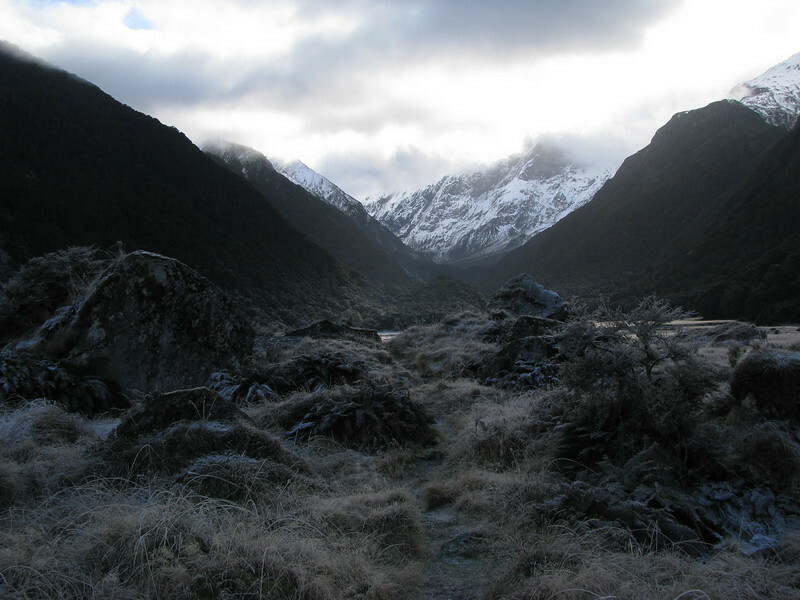 The Mount Aspiring region - A guide for mountaineers, NZAC, 2009.